Internet hardware architects protestations to the contrary, designing and manufacturing Macs is not easy. So maybe there is some technical issue that means Apple hasn't been able to update the iMac, but it looks more like Apple is delaying the machine for commercial reasons. This shouldn't come as a big surprise. Of course Apple always times its hardware releases for when they will get maximum attention and gain maximum sales. Only, Apple doesn't make machines and then sit on them until the time's right. Instead, Apple is very, very good at planning years in advance and all manufacturers need to get their new technology to market while it's still new. Which means that Apple is choosing to delay the iMac, and it's been quite a delay. The last update was in June 2017 which is long enough ago that the smart money would've bet on at least a speed-bumped iMac being released at October 2018's Apple event. It didn't come then and current rumors most strongly suggest that neither it nor any Mac hardware at all is coming with the expected March 25 event. There doesn't have to be an event, though. The 2018 MacBook Pro was announced with a press release and so were its Vega 16 and 20 updates. Still, you look in vain if you want to find any iMac news in Ming-Chi Kuo's comprehensive report on Apple's plans for the whole of 2019. Yet the iMac is Apple's most popular desktop Mac. Maybe the 2018 Mac mini could challenge its status as Apple's flagship machine, but you can be sure that the iMac outsells the iMac Pro. And, you can be completely certain that even the current version will outsell the forthcoming Mac Pro. Only, there's a difference between outsell and outshine. Apple took a gamble when it revealed the updated iMac in 2017 and in the same event gave us a sneak peek of that December's iMac Pro. The company must have thought about whether that would cannibalize iMac sales and patently decided it was worth it. Apple may have looked at how many people wouldn't buy the iMac but would be drawn to the iMac Pro. It may well have concluded that the two machines sell to such completely different markets that cannibalizing sales isn't an issue. Except once the iMac Pro was actually on sale, it looks as if Apple wrote off the iMac. If it weren't for the huge price difference, you wouldn't have been surprised if the iMac Pro had been intended to be the successor to the iMac. You might even have been sure of that if the power of the regular iMac hadn't been strong enough to make some people decide they don't need an iMac Pro. So while Apple didn't mind treading on the iMac's time in the spotlight with a sneak peek of the iMac Pro, it has avoided doing the opposite. Which means that this year, Apple may also avoid sharing that spotlight between a hypothetical new iMac and the guaranteed new Mac Pro. There are reports now that Apple has been considering whether or not to give a preview of the new Mac Pro at the 2019 WWDC. What that really tells us, though, is that the new Mac Pro won't be released then. That should mean that Apple has the opportunity to update the iMac in at least the first half of 2019 without treading on the toes of its other machines. And as well as good timing, Apple also has plenty of opportunity for how it could improve on the current iMac. For instance, not long after the iMac's last update, Intel announced eighth-generation Core i7, i5 processors which were pitched as being for Apple portables but versions of them ended up in the 2018 Mac mini. Then in August 2018, Intel announced what it called a collection of six U-series and Y-series processors which again are expected to be used in portables but certainly work with iMacs. That August announcement would potentially also fit with the processors appearing in Macs launched in the first quarter of 2019. There will always be better processors and in January 2019, ">Intel announced more. Surely Apple's got to take the plunge and make something out of one of these released processors. 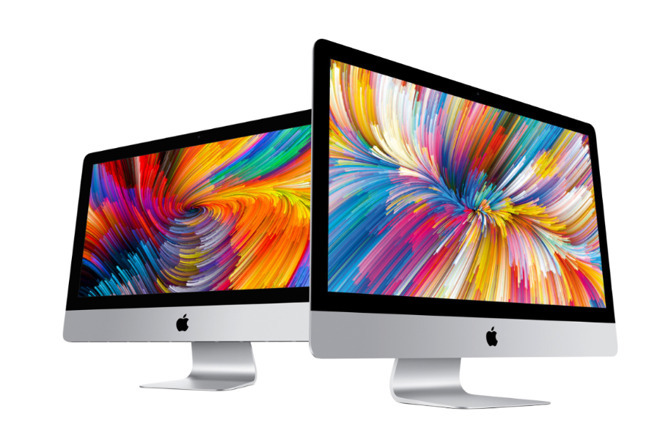 An iMac update that comes in the first half of 2019 is not going to tread on the toes of any other Apple Mac release. The trouble is that if it's any later than that, other releases will tread on its toes instead. Analyst Ming-Chi Kuo has said nothing about the iMac but he has spoken about competing products -- and that doesn't just mean other Macs. He claims that alongside the new Mac Pro, Apple is going to launch a new display that he's referring to as a 6K3K one. It will reportedly feature a 6,144 x 3,072 dpi resolution. More people are going to want that display than want the Mac Pro. And at 31.6 inches diagonally, that display is going to outshine one of the iMac's greatest selling points. That display is going to tempt people who might otherwise have gone for the iMac. But let us dream just a little, just for once. You have to ignore the fact that there is not one single report or even rumor, you have to accept that what we're about to say is entirely wishful speculation. However, if you also have a tape measure, you can see that the current 27-inch iMac is not 27 inches at all. That's of course the diagonal size of the display in that iMac but the physical size of the machine is actually 30.5 inches diagonally. This is surely just a bezel or two away from being the same sizes as that forthcoming display. Imagine it. 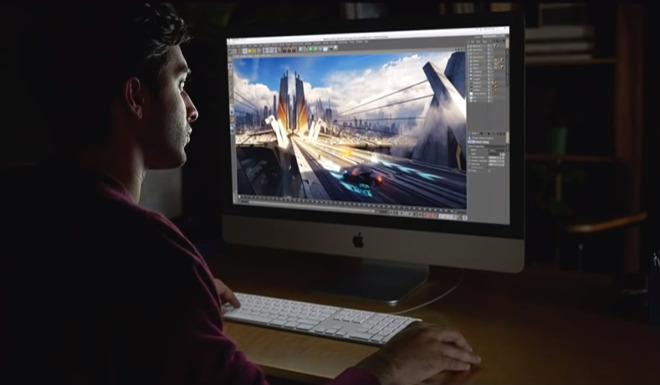 An iMac with a larger 6K display. Now that would've been worth waiting for. Other than speed bumps, what do you expect to change? The design is pretty solid and thin, although they could go thinner I suppose but then that brings challenges with heat. I've been holding off for almost a year. It's disappointing, but there is not much worse than buying something that is replaced with a newer model within a few months of a purchase. I'm just now thinking that it's getting to that time to look for another iMac. My late 2015 iMac is still a great machine, however with all the serious photography I find that I spend more time than not getting the iMac fans to kick in full-throttle. That 6K display does sound amazing. I hope it's an Apple-branded display and not that fugly LG one. I don’t understand what the iMac Pro has to do with the iMac itself. The difference in price alone puts them into two entirely different categories. The Mac Pro has nothing to do with either, really. It certainly doesn’t compete in any large way with the iMac. Yes, it’s true that many pros use the iMac. But these pros, for the most part, wouldn’t buy a much more expensive Mac Pro anyway. The small number (relatively,) that would, won’t have a major impact on iMac sales. as far as the iMac Pro goes, its as much a stopgap as it is a product line on its own. And where’s the update to that? A true pro product needs regular updates, and by regular, I don’t mean regularly - every two years. If Apple loses sales of that product to a Mac Pro, I don’t see that as a real problem. Looking at the price of the iMac Pro, we can see that the new Mac Pro will be even more expensive, particularly if a new Apple monitor is bought with it. That would be a benefit to Apple’s bottom line, wouldn’t it? i remember when Apple updated its machines four times a year. Yeah, that was back in the early/mid ‘90’s. It dropped to once a year. That was still fine. But Apple’s irregularity is hurting sales, and not in a small way. Way out of my depth, but isn't the iMac a tweener? The MacBooks, all of them, are so popular because they're can be used as the home and the portable for most retail users. And even for enterprise customers, folks hop from meeting to meeting all day and need their computers all the time. So the iMac is for the slightly more affluent or more "pro-am" consumer who buys a MacBook and a desktop, but not a high-end desktop system. I feel the product development process in Apple - particularly when it comes to the Mac and macOS, is completely out of control. It appears as the scrum project from hell. Whenever this comes up, I point to Intel's years long, totally fucked up roadmap for 10nm, which looks to finally arrive in a broad way, this fall. Whatever happens, I'm waiting for 10 nm. I suspect that Apple is as well. I believe apple might consider switching to AMD processors (e.g. ZEN 2); or maybe an unannounced APU with integrated VEGA graphics, that would sound interesting from an Apple perspective. Getting the operating system scheduler in place takes its time since the desktop ryzen chips (or ryzen pro if you want, they are the same) are effectively 2 NUMA nodes on a single die; Other than that I believe there is no reason to keep us waiting. I think that's all relative. When at home, I prefer real desktop power and while my late 2017 MacBook Pro is no sleeper and offers great power/portability, it nowhere near replaces my iMac. I think many are in the same boat as I am. All Apple products are going with thinner bezels, so I think the iMac is due for the same treatment. But rather than make the unit slightly smaller, I would love to have it expand to a 6k display that is 30 inches (or so). The iMac is due for a face lift (even if only slightly), and I hope that is what Apple has in store for us. I am holding off updating my desktop to when the new unit comes out. As far as portability, that's what my iPhone and iPad are for. I want a larger screen for my desk, and will (probably have to) pay for that upgrade. I don't want to have multiple screens. I'm using a Late 2012 iMac (which just went obsolete) and have been waiting to buy a new iMac for 2 years now. My only requirement is that it has user-installable RAM, a decent processor and semi-decent graphics card. It needs to be Intel based since I run multiple Windows virtual machines. Although I think the Mac Pro is a needed addition Macintosh line, that isn't for me and likely far too expensive. And I've been on the fence getting an iMac Pro. A large part of iMac sales in in the corporate area. Yes, Apple sells a lot of them there. These sit on desks. Upset about 20 months since the last update? Thank your lucky stars you're not a Mac Mini or Mac Pro user! I am a long time iMac user, having used many various models since the original. My needs for a desktop are very modest. 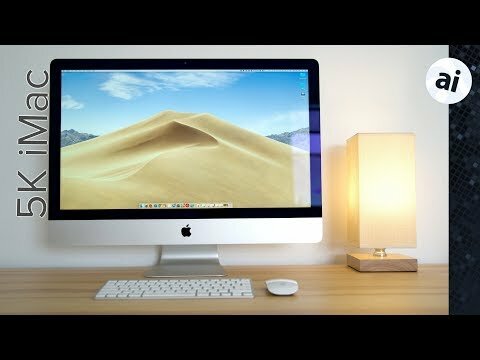 For the last few years, as I watch my 2009 27" iMac age (and still suits my needs well) I ponder what I would replace it with, and I'm concluding it won't be an iMac. iMac's strength was price and ease of acquisition. It does everything I need, and does each well. The refurb or sale market serves well for significant savings. But the Big Selling Point now for me is a nicer 4k screen. I have a HDR 4K TV that has a stunning picture, even from a 1080p feed. Monitor prices are dropping, and I'm thinking of driving one with a mac mini, or a MacBook...or possibly both. I see 4k monitors made by third parties are quite inexpensive now. I don't need a spec bump of any sort on a new iMac, as that's not a selling point for me. But I wonder - can a mac mini drive multiple displays? The wait is not for no good reason. The company is in a hot mess right now, leaderless and drifting out to sea. Tim Cook has to go yesterday. His lack of vision and holding people accountable for timelines has finally caught up to him. The company just isn't as good as it was a few years ago, and as it should be. I realize that iPhones the bulk of the profits, but there will be no profits in the future if they don't get innovation AND execution right soon. How do we know for no reason? What if they're engineering a bezel-less version or something we haven't thought of yet? Then again, there really isn't any software that someone interested in a standard iMac would be running that isn't going to work really well on those machines. Doing a spec bump every year is becoming less and less important, especially since drive and GPU upgrades can be efficiently handled by going external. If it happens in 2019, I wouldn't think a 2-year replacement cycle for this type of product is unreasonable. There really is nothing groundbreaking happening. The more I come to this site the more articles I see that are b*tch, b*tch, b*tch about anything or articles filled with half-truths purposely skewed to favor another company and/or to make people think Apple users are missing out on something Android users enjoying. Epic doesn’t intend to sell to anyone, but after Jim Cramer suggests Apple buy the company, an article is written using a selected part of the Epic CEO’s words to make it look like Apple was spurned by a buyout offer. 5G support of a modem that won’t be released until late 2019, has no infrastructure support from telephone carriers, resembles previous nightmarish communications upgrades is written to portray Apple as a laggard while others will provide experiences to be envious of. New hardware rumored by a “reliable” analyst gets reported then shortly afterwards a hit piece on current hardware is written/published. I have champagne tastes on a beer budget. I’m limping along with my 2000 iMac 27”, but could really use a lot more power for the solid modeling work I do. I’m probably going to upgrade to a new 27” iMac in the next year or two, and I may go with the present version if a new version comes out and the price drops on the present version. In the meantime, I haven’t had a lick of trouble with my iMac, which is a testament to Apple taking their time and doing the job right. If it takes them longer, there’s a good reason for it. Time to stop whining and get on with life.